It's WORKOUT #3 in this three part series! If you missed workout 1: LEG DAY you can check that out [HERE] and if you missed workout 2: CARDIO BOOST you can see that [HERE]. My main goal for this series was just to help those of you at home that feel like you're in a rut and want some motivation to get your butts in gear. This recipe does NOT in any way align with my "healthy living" lifestyle but sometimes you just have to let yourself indulge and little right? I'm also in NO way a professional cook, just a homemaker with an extreme weakness for good food. 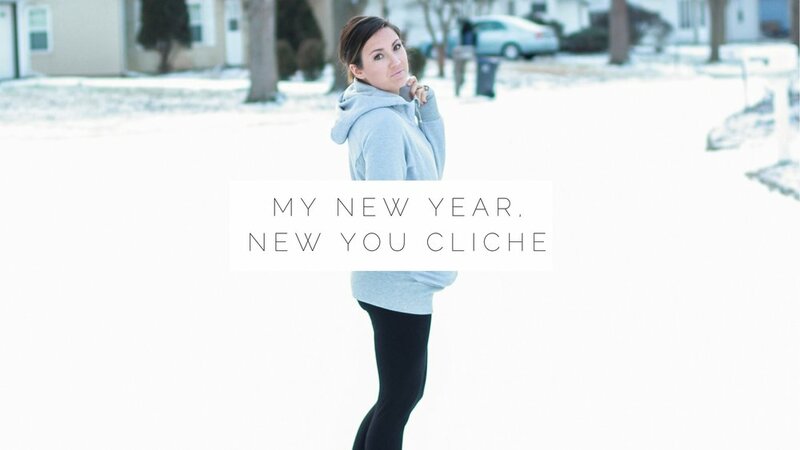 I am fully aware that I am a week too late on the whole "New Years Resolution" train, ESPECIALLY in the blogging world! You're supposed to be like two weeks ahead of every topic, holiday, and event to even stay relevant. Well the stomach flu has no regard for my relevancy...sooooo here I am...trying to put into words my "new years resolution."